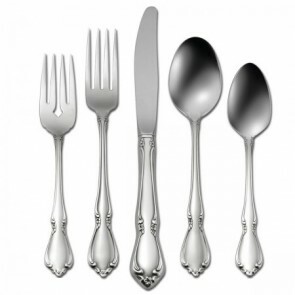 Rental Depot & Party Station, Inc. Rochester Minnesota - Flatware. Chateau 18/8. Accents of graceful scrolls with finely detailed flowers, a highly polished look.